Ofsted and DfE require early years and childcare practitioners to have an ‘effective safeguarding children policy’ which must be implemented. This must be based on the Local ‘Safeguarding Children’ Board. In Greenfield’s case, this is Nottingham City Safeguarding Children Partnership which consists of the Local Authority, Clinical Commissioning Groups and Chief Officers of Police. Our prime responsibility is the welfare and wellbeing of all children in our care. We believe we have a duty to the children, parents/carers and staff to act quickly and responsibly in any instance of concern that comes to our attention. It is our duty to report any suspicions of abuse and neglect to the Local Authority who are then obliged to investigate such matters. At Greenfields we will follow the Nottingham City Safeguarding procedures laid out by the local authority and will seek their advice on all steps taken subsequently. It is our statutory responsibility to record any injuries that happen to children both in and out of nursery. The Designated Safeguarding Lead (DSL) for dealing with any child protection issues are the Childcare Services Manager’s, deputised by the Setting Leaders. 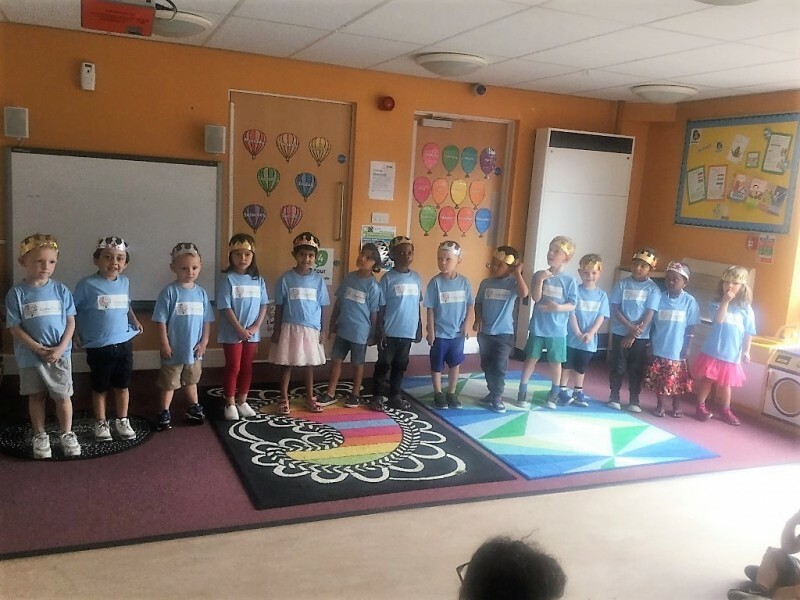 They have responsibility for appropriate staff training and support, information dissemination to staff, and liaison with child protection agencies and OFSTED. The designated person will continue to ensure that all staff regularly update their training and awareness on child protection issues, they also ensure that staff have a thorough understanding of the organisations safeguarding policy. Safeguarding is discussed with childcare staff at staff meetings and individual supervisions. The DSL’s update their lead professional training every 3 years. All other childcare staff attend basic safeguarding training when they first start their employment and then attend refresher training every 3 years. All staff employed by Greenfields who come into contact with children are subject to a DBS check. These are complete upon appointment and then again every 3 years. Staff also complete annual disclosure forms to inform the DSL of any changes to their circumstances in relation to their suitability. This includes anyone in their household that carries a criminal conviction. Greenfields follows safer recruitment practices and managers involved in recruitment have attended safer recruitment training. See Recruitment policy for more details.  It is the policy of the organisation to provide a secure and safe environment for all children. Ensure that children are never placed at risk whilst in the charge of childcare staff. Report all cases of children being at risk both when in our care and in the care of others. Child abuse is the ill treatment or neglect of a child under the age of eighteen years of age. The child may suffer from physical injury, physical neglect, failure to thrive, emotional or sexual abuse by a person who has custody, charge or care of the child, either caused or knowingly failed to prevent. They may be abused by an adult or adults or another child or children. If a child is found to be injured or there is cause for concern about the child’s welfare this will be discussed on most occasions with the parent/carer. In some cases of suspected abuse parents/carers may not be informed first, this is done in order to provide protection to the child and/or staff. It may also be in order not to interfere with any ongoing criminal investigations. Our aim is to work with parents/ carers in an open and professional manner in the interests of the well being of your child. Action will be taken if childcare workers have reason to believe that there has been a physical harm to a child. Examples of this may include shaking, squeezing, burning with a cigarette, hitting with hands or objects. Physical harm may also be caused when a parent or carer fabricates the symptoms of or deliberately induces illness on a child. Action will be taken if childcare workers have reason to believe that there is a severe, adverse effect on the behaviour and emotional development of a child likely to be caused by persistent or severe ill treatment or rejection. Action will be taken if childcare workers have reason to believe that there has been persistent failure to meet a child’s basic physical and/or psychological needs, which result in serious impairment of the child’s health and/or development including failure to thrive. Action will be taken if staff have witnessed occasions where a child indicated sexual activity through words, play, and drawing or has an excessive preoccupation with sexual matters or has an inappropriate knowledge of adult sexual behavior. We recognise that all abuse may not be carried out by adults and that children may abuse their peers. Peer on peer abuse can manifest itself in many ways. This may include bullying, verbal abuse and sexually harmful behaviour. We do not tolerate any harmful behaviour and will take action to intervene where this occurs. We encourage to children understand, in an age-appropriate way, what abuse is and we encourage them to tell a trusted adult if someone is behaving in a way that makes them feel uncomfortable. Any incidents of peer on peer abuse will be managed in the same way as other forms of abuse. FGM is defined as; ‘A procedure where the female genital organs are injured or changed and there is no medical reason for this. It is frequently a very traumatic and violent act for the victim and can cause harm in many ways.’ We have a statutory obligation under national safeguarding protocols (e.g working together to safeguard children) to protect young girls and women from FGM as it is an illegal, extremely harmful practice and a form of abuse. If a child in our care shows signs and symptoms of FGM or we have good reason to suspect the child is at risk of FGM, we MUST refer the child using our existing standard safeguarding procedures as it is a form of child abuse. Early years’ colleagues who suspect that any child or young woman is at high risk of or has already undergone FGM are advised to contact: Nottingham City Council Children and Families Direct. The observed incidents will be reported to the DSL. If staff remain concerned the DSL will then seek guidance the relevant local authority (see table at the end of policy). The local authority will depend on where the child lives. Contact details will be sought if necessary if children live outside of Nottinghamshire. If an immediate referral is required, a telephone call should be made to Children and Families Direct as soon as possible. This should then be followed up within 24 hours by a MARF (Multi Agency Referral Form) and sent via secure e-mail to Children and Families Direct. Strict confidentiality will be adhered to at all times. When making decisions regarding safeguarding children the DSL will make reference to the Working Together to Safeguard Children March 2015 document. In the event of the DSL not taking appropriate action, which as a consequence is exposing a child to potential harm, members of staff should regard themselves as having responsibility to raise the issues directly with Children and Families Direct immediately, advising the DSL that they have done so. Any allegation against a member of staff will be treated seriously and investigated immediately. All information should be recorded by the DSL/Senior Manager on an incident form regarding the allegation. The Senior Manager on duty will contact The Local Authority Designated Officer (LADO) who has overall responsibility on behalf of the local authority for managing allegations against staff. The LADO will then work with Senior Manager to consider whether it is a matter which can be properly dealt with under Greenfields disciplinary procedures or whether the police and/ or Children’s Social Care should be involved. The DSL will look at the details to determine the exact nature of the allegation. If appropriate, the member of staff will be suspended pending the final outcome of the investigation. Greenfields’ procedures will be followed with the safety of children as paramount. The local authority will lead an investigation in line with the NCSB procedures. Following this if there is evidence to substantiate allegations, disciplinary action will be taken possibly leading to dismissal. If the allegations made are found to be unsubstantiated, all relevant parties will be informed and it shall be made clear that the member of staff is exonerated. Any allegations against a member of staff will be reported to OFSTED (Office for Standards in Education) and the LADO within 14 days and they will be kept informed of the outcome of any investigations. If additional advice is required in relation to any safeguarding concerns the DSL will contact the 0-19 Safeguarding Coordinator for Nottingham City as part of the Nottingham City Safeguarding Board Team.